Of course leaving it there isn't an option. Finding an eco and pet friendly way to clean up the mess with little effort is gold on those I-cleaned-three-or-more-accidents-today kind of evenings. 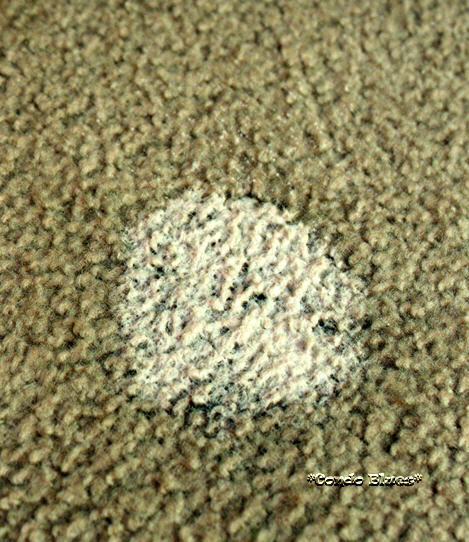 It should not be a mystery why I agreed to try Unique Natural Products Pet Odor and Stain Eliminator when the Unique Natural Products folks contacted me about trying their green pet carpet and floor cleaner. By the time the sample arrived, we had Lacey on a revised potty schedule. Lacey, finally, FINALLY started having more dry days than not. Yay! I thought I might have to send the sample back. Then we had a miscommunication problem. At least it lets me test how Pet Odor and Stain Eliminator works. 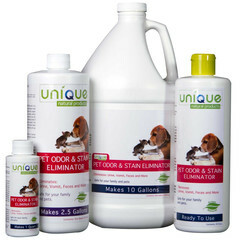 Unique Natural Products Pet Odor & Stain Eliminator is natural enzyme cleaner that neutralizes the ammonia in pet urine while it cleans the stain. The ammonia smell in dog urine is what dogs use to mark an area as a potty spot. I poured my bottle of Pet Odor & Stain Eliminator into an empty spray bottle to make sure I got the entire area. 1. 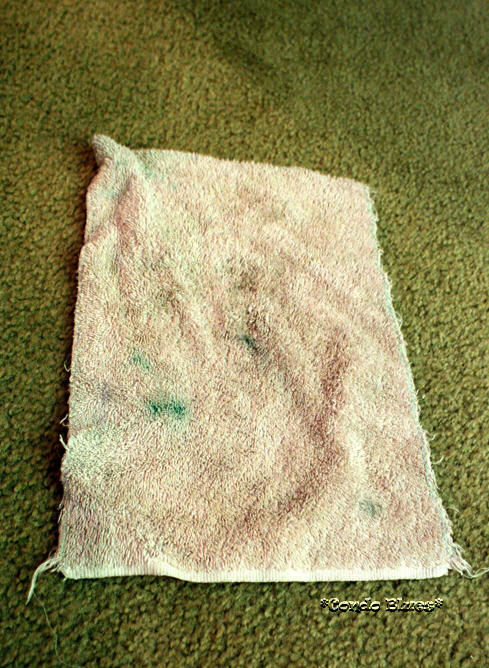 Shake the bottle of Pet Odor & Stain Eliminator and pour/stray it on the pet stain. 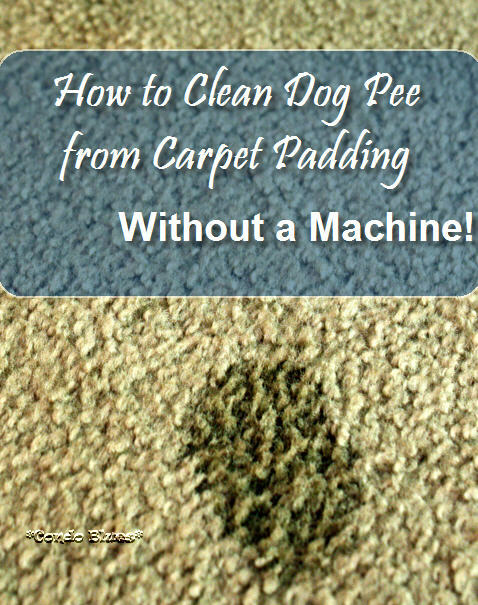 Pet Odor & Stain Eliminator works on urine, vomit, feces, blood, grease, food, water stains, and grass stains although I have only had the privilege of using it to clean urine stains. 2. Do not rub or brush the cleaner into the stain. 3. 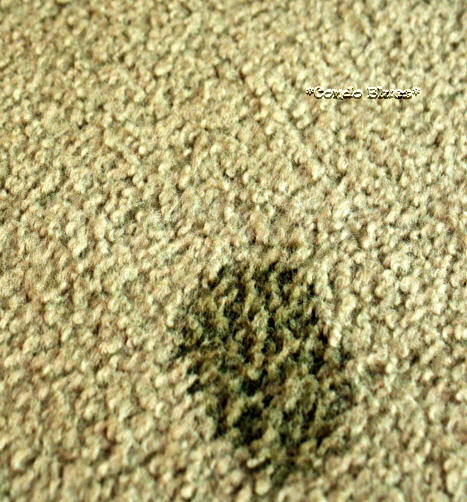 Allow the solution to soak into the carpet pad or subfloor, cover the stain with a damp cloth or towel, an allow the microbes to digest the stain for 24 hours. 4. Remove the towel. The stain and stink is gone! When I say I need to go out, I NEED TO GO OUT! Don't give me any of this is "in a minute" stuff, OK? If indoor potty accidents happen too frequently schedule a vet appointment. The frequent potty problem could be the symptom of an easily treated medical issue like a urinary tract infection. Yep, pets can get those too. If the vet check comes back as OK, contact a dog behaviorist because they have the training and tools to help you help your dog get to the heart of the whatever behavioral issue is causing them to mark inside the house. It took us seven months, but we finally have Lacey's accident problem under control. We feel more confident allowing her to visit new places now! Pet Odor & Stain Eliminator is the easiest and most effective enzyme based pet stain cleaner I tried. I doubted shake, spritz, cover, and walk away would deep clean the stain and I'd have to pull out the carpet cleaner. Once again, I am completely wrong. Pet Odor & Stain Eliminator really is that easy and an effective cleaner. It is safe to use on carpet, hardwood floors, concrete, in kennels, horse trailers, furniture, fabric, artificial turf or any surface water will not damage. 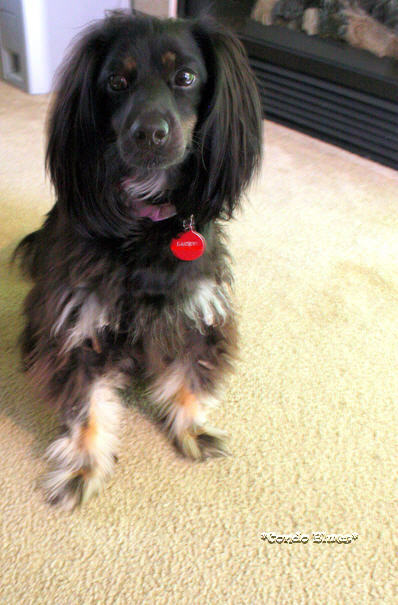 When Lacey is ready to earn the privilaage of an overnight trip, I will definitely be packing a bottle of Pet Odor & Stain Eliminator just in case we need it. Disclosure: Unique Natural Products sent a sample to facilitate this review. This did not affect my opinion as all opinions are 100% my own.